Florida Wildlife agent Ann Spellman located 19 Manatees caught in Satellite Beach, Florida storm drain; recovering them in a clever rescue. Her story began on a professional “hunch.” Florida Wildlife agent Ann Spellman suspected the warmer water in a large storm drain in Satellite Beach, Florida might possibly be a candidate for attracting manatees, as local waters were cooling due to several recent cold fronts. Unfortunately, the nineteen manatees Spellman discovered – a gathering of both adults and calves – became stuck in the culvert. Therefore Florida officials sought to begin the rescuing effort immediately. How Does Someone Safely Remove Manatees from a Storm Drain? Manatees are large mammals, therefore presenting many challenges for Spellman in orchestrating their extraction. Consequently, the creatures rescuing effort necessitated a coalition of Florida Fish and Wildlife, the Conservation Commission, local police, firefighters, and the SeaWorld Animal Rescue Team to free the gentle giants. Officials drilling into the culvert and removing the manatees, sought both redirecting some of the creates out of the culvert; while others required lifting out using large slings. The Manatees once freed from their captive drain were given time to recover. 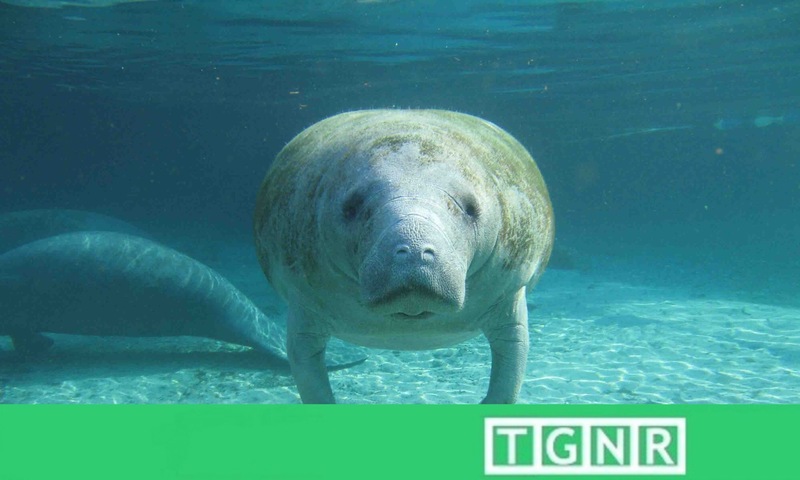 The mammalian species is able to survive outside of water for extended periods, making their recovery easier for both they and Florida official. Ultimately all 19 Manatees after their rehabilitation returned to the local Indian River lagoon. Following the rescue a temporary structure was placed in front of the drain to prevent others from becoming trapped. Sources: Tampa Bay Times, FloridaToday, and The Christian Science Monitor.